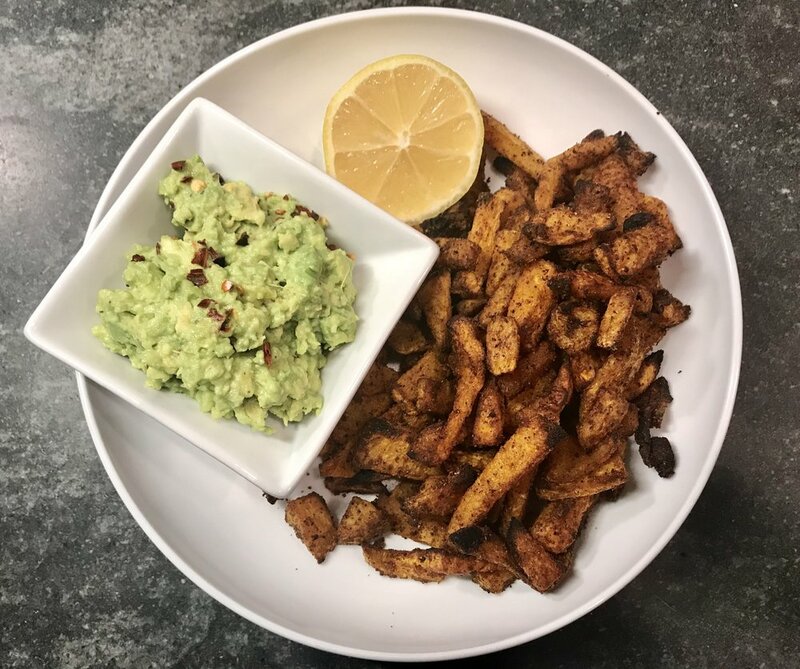 These spicy butternut squash fries are probably the most delicious preparation of butternut squash that I’ve ever eaten. Nice and crispy on the outside and the spicy seasoning makes it so my kids can’t devour them fast enough! They’re super easy-to-prepare and make the perfect side for any dinner! Preheat oven to 375 convection or 400 degrees. Slice the squash into horizontal pieces to resemble French fries. Throw squash into a bowl; add the oil and the spices. Toss to coat all pieces evenly. Place squash on a baking sheet and bake for about 30-40 minutes, flipping them halfway for even roasting on both sides. For extra crispy fries you can finish them off on broil for 2-3 minutes. Enjoy with mashed avocado mixed with lemon, sea salt and red pepper flakes.